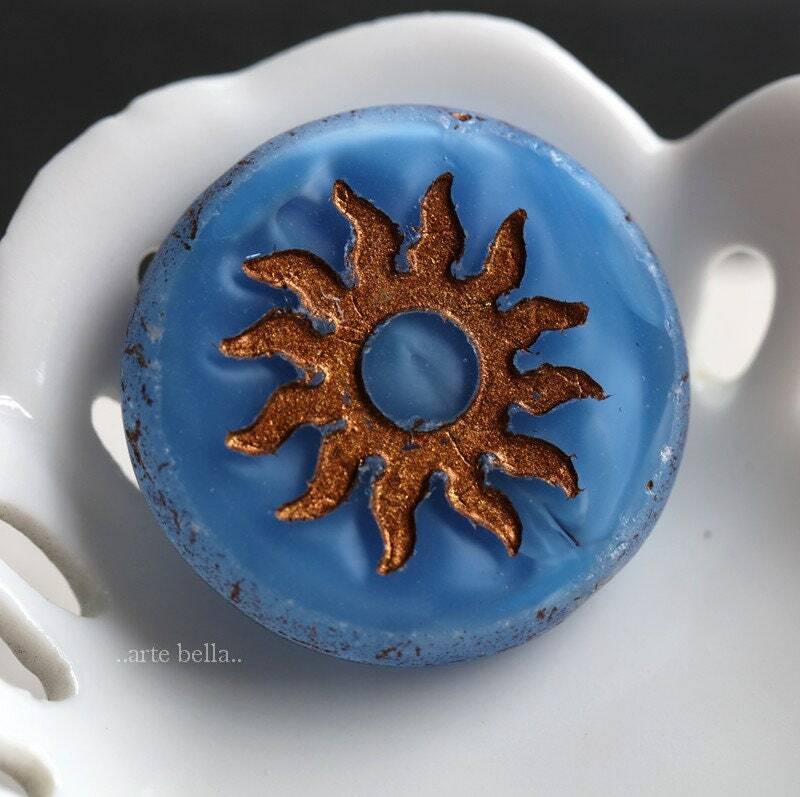 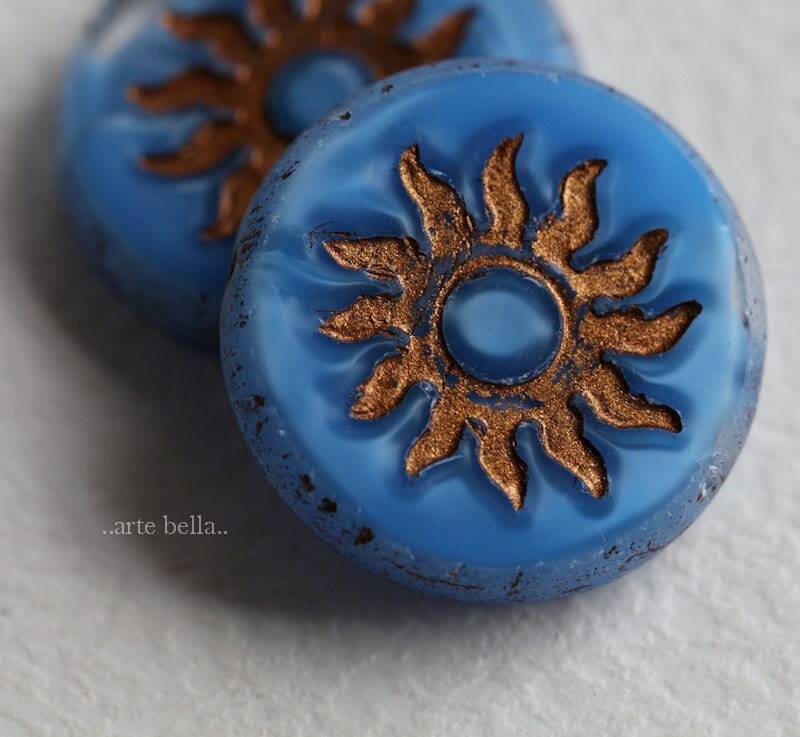 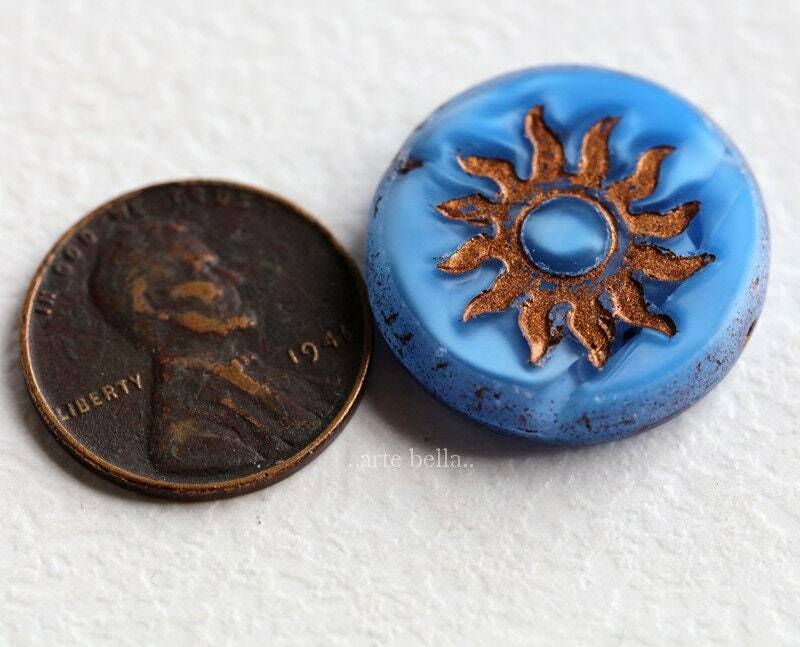 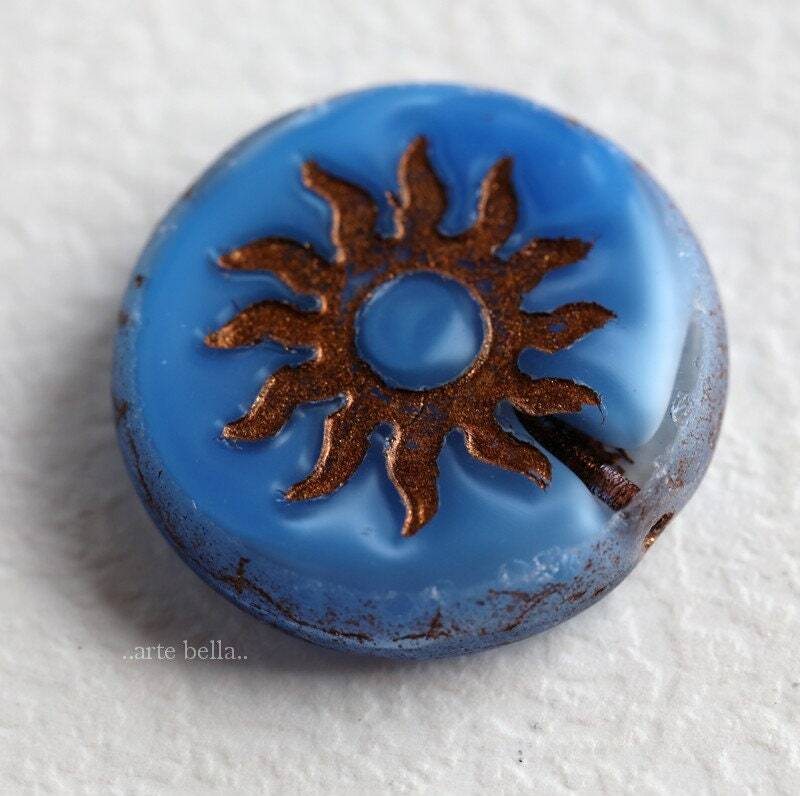 Silk cornflower blue glass suns with a bronze metallic Picasso finish in the recessed areas. 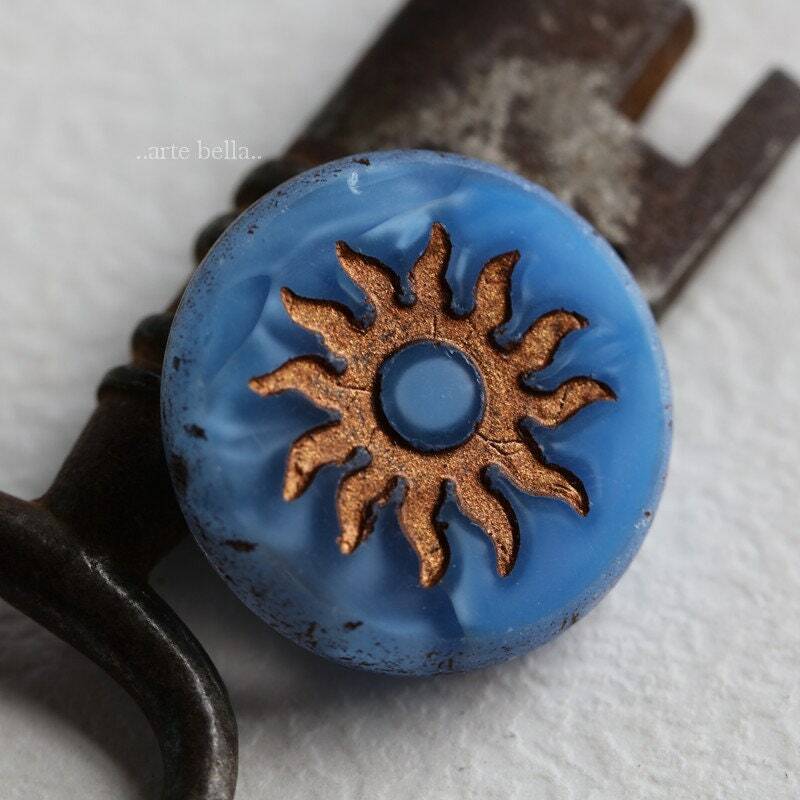 Polished to a shine on the face of the beads, matte edge. 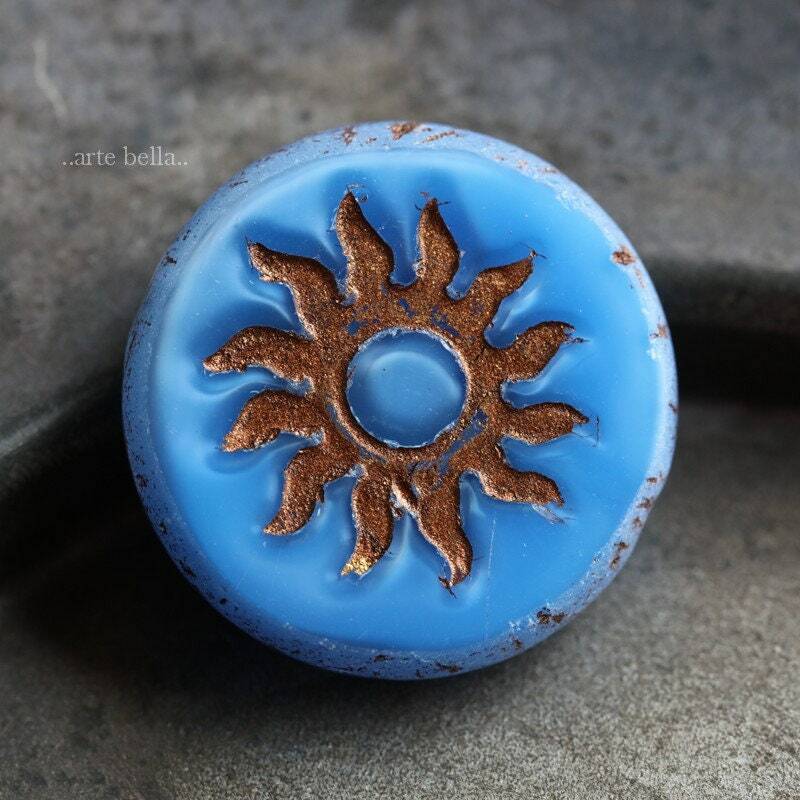 **PLEASE NOTE: As seen in my pictures, beads have a somewhat rustic appearance and may have some scratches and tiny chips.